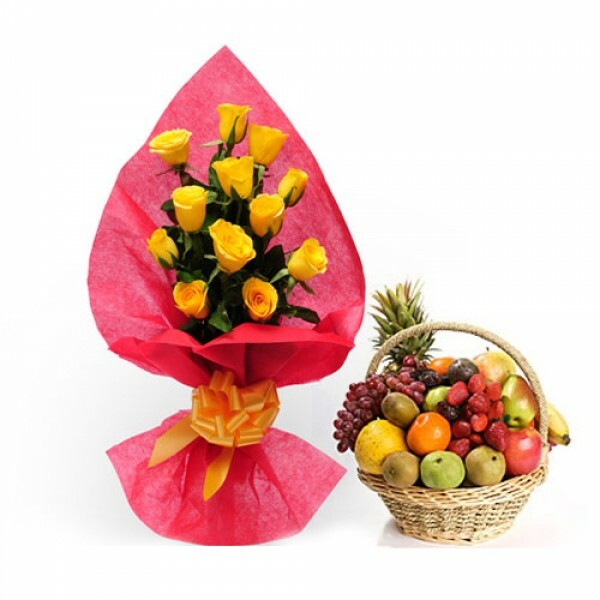 A surprise that will make their day truly memorable and feel them abundantly loved. 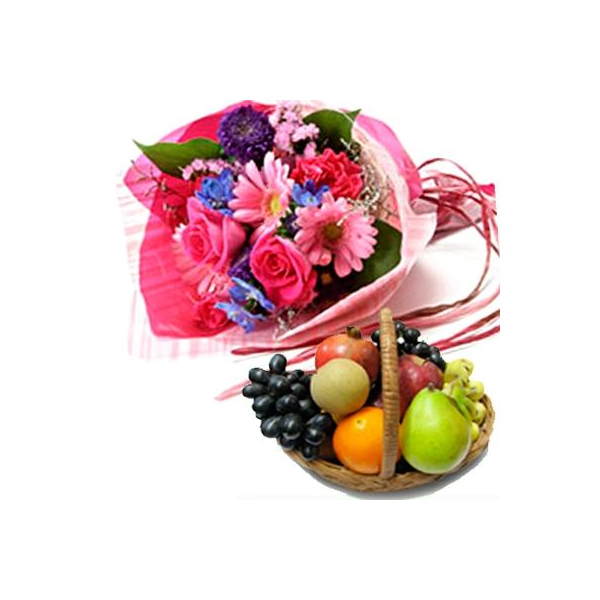 We present this delightful basket of 3 kilos mixed seasonal fruits along with ten stems of red carnation bunch with lots of green fillers. 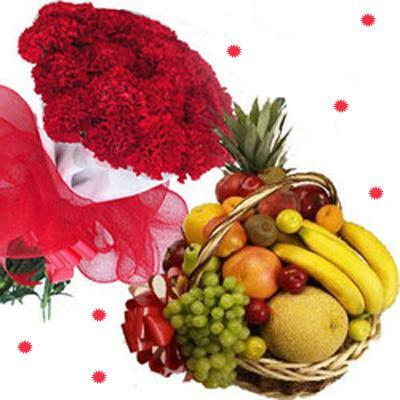 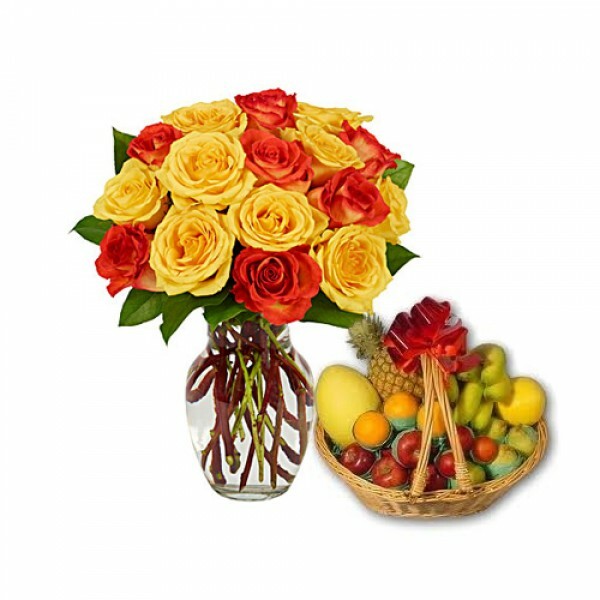 Share nature's bounty with your dear ones in form of this fresh fruits basket and bouquet of flowers. 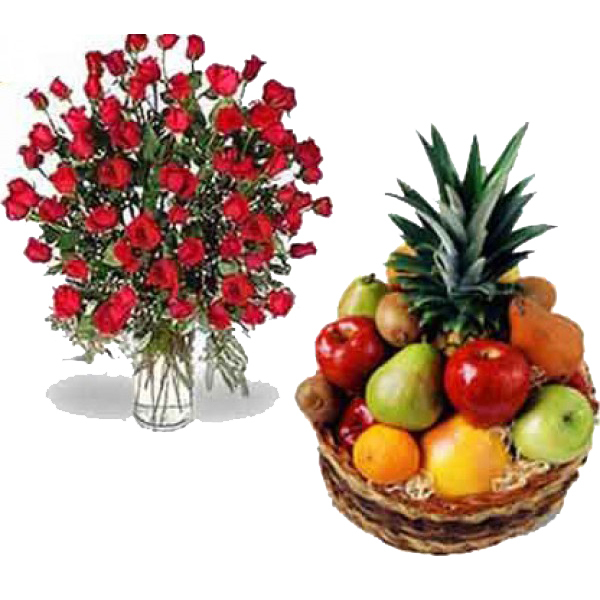 Let them enjoy the healthy goodness of fruits and the refreshing beauty of carnations along with your good wises. 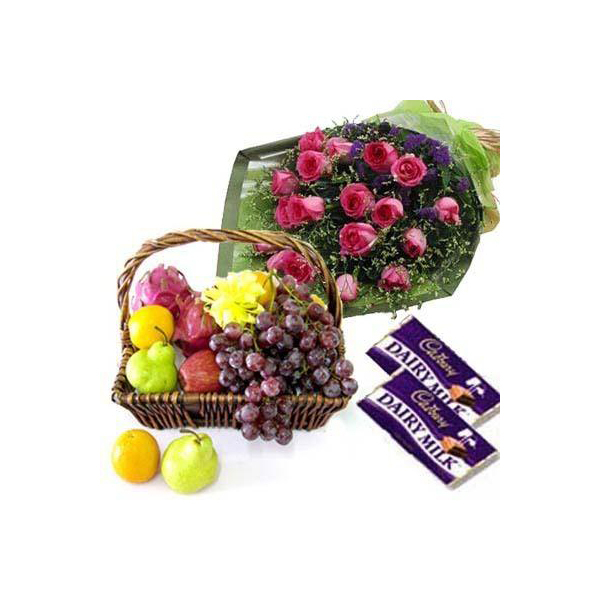 The hamper is ideal for sending as a special gift to create sweet memories. 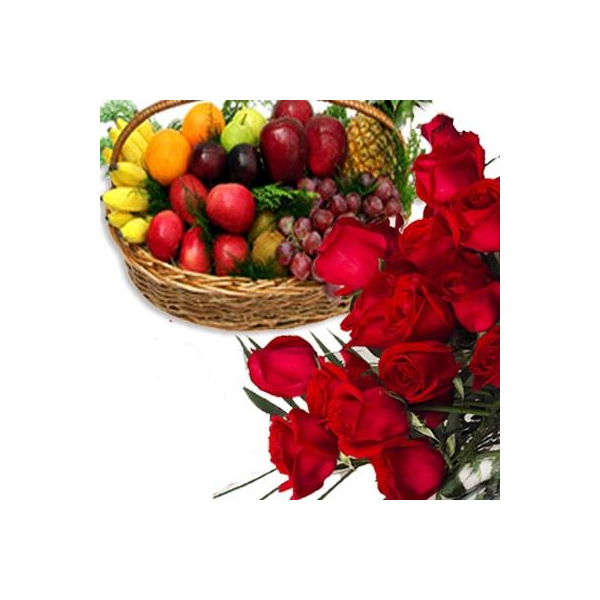 Product details: basket of 3 kilos mixed seasonal fruits along with ten stems of red carnation bunch with lots of green fillers.